The Department of Psychiatry and Behavioral Science at the Lewis Katz School of Medicine at Temple University is seeking qualified candidates and candidate nominations for a full time faculty position in our Crisis Response Center (CRC). The psychiatrist in the Crisis Response Center is responsible for providing psychiatric evaluations and prescribing treatment for patients that present to the psychiatric emergency department. The selected physician will also make appropriate treatment recommendations and coordinate care with other disciplines and outside providers when necessary. The position requires a strong interest in teaching including bedside and didactic teaching and resident supervision. An interest in publishing or participating in research is preferred but, not required. Opportunities exist for flexible schedules and academic rank is commensurate with experience. 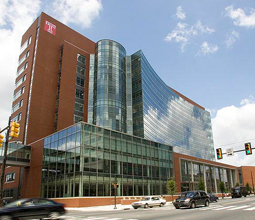 Temple’s Episcopal Campus is the main location for Temple University Hospital’s behavioral health services, including a 118-bed Behavioral Health Center and an emergency Crisis Response Center (CRC). The CRC is a psychiatric emergency service that sees more than 10,000 patients each year. The CRC serves individuals in crisis with psychiatric and/or substance-related conditions. The CRC is staffed by psychiatrists, psychiatry residents, psychiatric nurses, crisis technicians, clinical social workers, and security personnel and is open 24 hours a day, 365 days a year. Possess credentials for a faculty appointment at the minimum rank of Assistant Professor. Ability to maintain medical licensure in the Commonwealth of Pennsylvania. Demonstrate sensitivity to the culture, needs, and aspirations of the community.